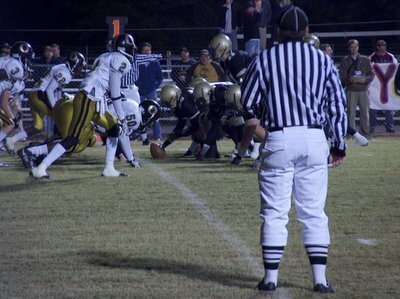 The Pell City Panthers made it to the second round of play-offs this year with only one loss during the regular season. 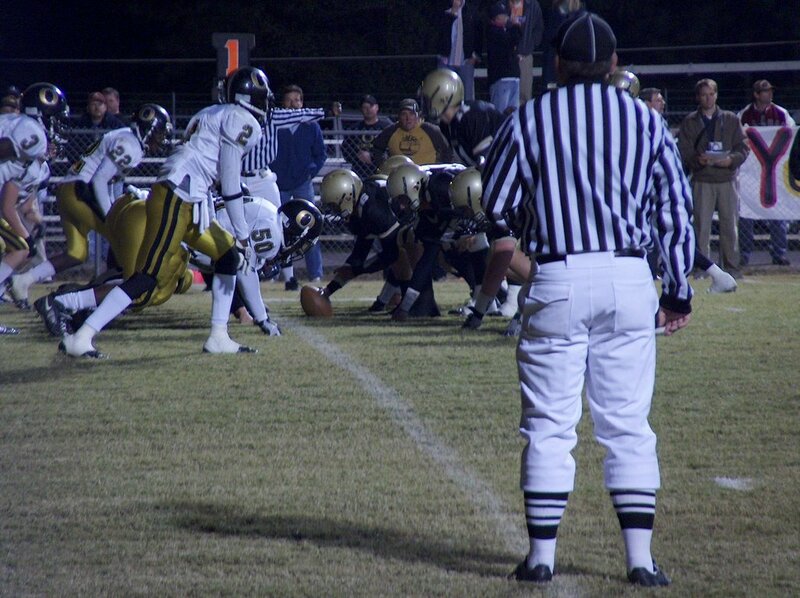 Here is a shot at the goal line as the Panther's lined up against Oxford for their last touchdown in regular season play. Every day many transport trucks pass through the center of Pell City on Hwy 231. One of the trucks that most impress me is in the picture above. This particular truck is carrying an empty container on its North bound return to be refilled. To see what it carries on the South bound journey, look closely at the label in the next photo. My understanding is that these containers travel in the neighborhood of 150 miles each direction, and they appear to pass through about one every six hours. This liquid, by the way, will soon become engine blocks and heads. Perhaps your car once passed through Pell City in its molten state. How about some fun with numbers? If the Aluminum is at the point of turning solid, about 660 Deg C, how much energy would it release when it does solidify? 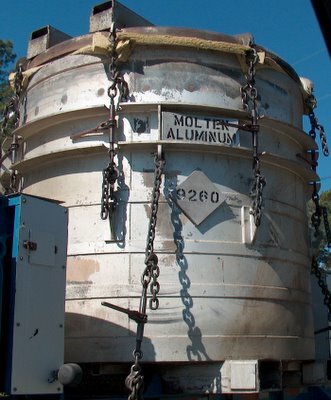 Let's say the amount of Aluminum in the container is approximately 2 meters (m) high and 2m in diameter. That is a volume of 6.28 cu m.
and with a density of 2698 Kg/cu m, that is 16943 Kg of Aluminum. Now, the heat of fusion is about 10.67 kJ/mol. .9478 BTU/kJ. So that makes the heat of fusion 0.3748 BTU/g. Altogether, for 16943 Kg, that is 6,351,000 BTU, or about the amount of energy in 50 gallons of diesel fuel. Does that seem like a lot? 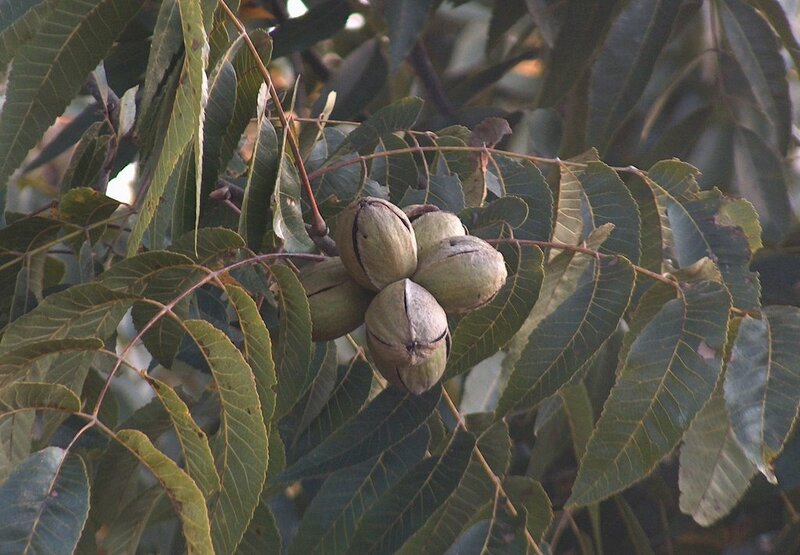 The pecans in and around Pell City dropping and ready to be collected. This bunch is right outside my back door. 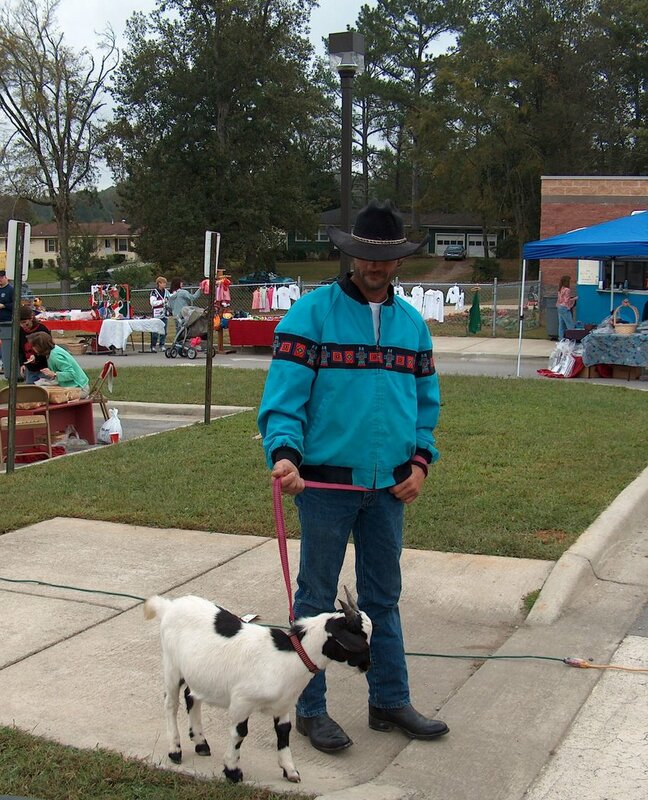 I met this pair at the Eden Elementary School Fall Festival. The pet seems well mannered now, but I hope his owner is prepared for the old goat it will one day become.